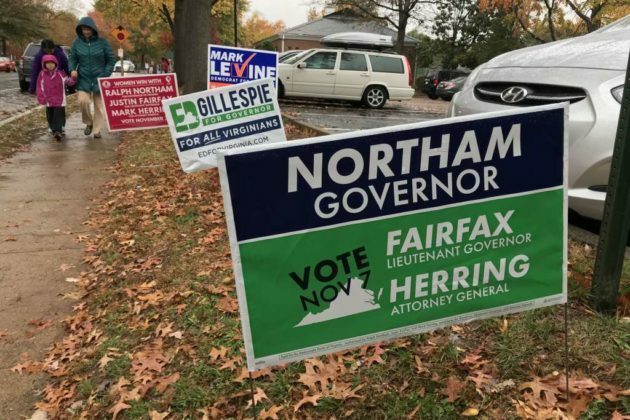 (Updated at 2:10 p.m.) Arlington County could today see record voter turnout for a gubernatorial election year. As of noon, Arlington election officials were reporting approximately 31 percent turnout at the polls. Another 8 percent of registered voters had cast absentee ballots, bumping up the total, midway through election day, to nearly 40 percent. That compares to a final turnout of 49 percent in 2013, when Democrat Terry McAuliffe defeated Republican Ken Cuccinelli. In 2005, the race between Tim Kaine and Jerry Kilgore resulted in 50.5 percent turnout in Arlington. 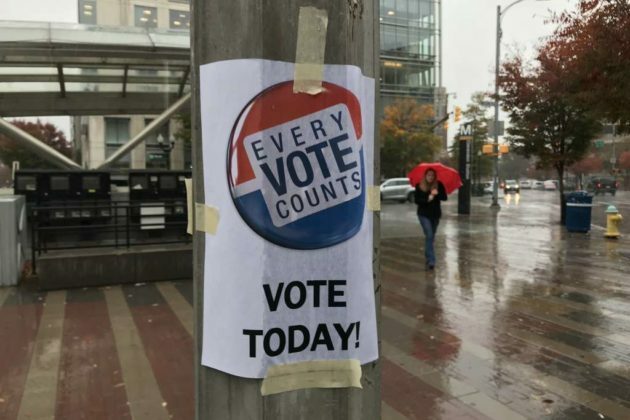 Despite a slowdown in the pace of voting with the arrival of steady rain in the area, Arlington County Registrar Linda Lindberg expects turnout will easily exceed that of 2013 today. That follows record turnout in Arlington during June’s Democratic gubernatorial primary. Virginia Lt. Gov. Ralph Northam won the primary and today is facing off against Republican candidate Ed Gillespie in the race for governor. 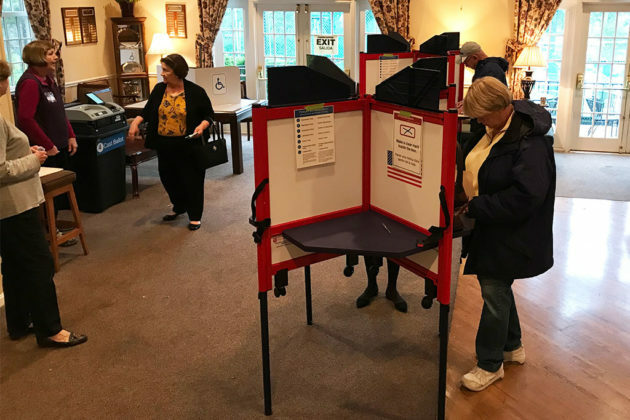 Former Arlington County Treasurer and avid local election prognosticator Frank O’Leary last week predicted record turnout in Arlington for a non-presidential election, based on absentee voting. He said heavy turnout in Arlington could provide a big boost to Northam — even bigger than the boost Arlington gave to McAuliffe four year ago. In that year, McAuliffe won Arlington by more than 33,000 votes. This year Northam should enjoy a local victory margin of 45,000 or more. Moreover, realize that in 2013 McAuliffe won by less than 57,000 statewide and the significance of Arlington in determining outcome in Virginia becomes apparent. But Arlington is not alone, and — as goes Arlington — so goes Alexandria and Falls Church and (to a lesser extent) Fairfax and Prince William. True to that prediction, Alexandria so far is reporting higher-than-2013 turnout. Lindberg said there have been no major problems reported at Arlington’s polling stations. Lines were typically no longer than 10 minutes this morning, despite the increase in turnout. The biggest issue so far has been confusion over the Democratic sample ballot handed out by party volunteers outside of polling stations, said Lindberg. The sample ballot recommended a slightly different way of filling in the bubble on ballots than that recommended by election officials, prompting a post by a confused resident to a Nextdoor social network page, which in turn resulted in election officials getting inquiries from some concerned voters. Either method of filling out the ballot is valid, Lindberg said.